Our national hero, Dr. Jose Rizal, once said, THE YOUTH IS THE HOPE OF OUR COUNTRY. If we look at how Pag-asa children perform in the first semester of the school year, then I guess yes, there is hope. They have once again shown exemplary performance in specific areas of their school life. Papenburg. Der Rotary Club (RC) Papenburg setzt seine Unterstützung für ein Hilfsprojekt auf den Philippinen fort. Einen Scheck in Höhe von 7600 Euro überreichten die Rotarier jetzt an Frank Schmelzer vom Pag-asa Social Center in der Stadt Tagatay. Das Sozialprojekt für Kinder aus bedürftigen Familien läuft seit 20 Jahren. We would like to welcome first the new sponsors of Pag-asa, including a group from the New Families of the Netherlands. In order to support additional children, they organized a lunch concert. During the concert, six Gen 4 showed up in the hall carrying with them canvas pictures of 6 of our applicant children, and within just a minute, all 6 children each found a sponsor. We are about to end our 20 years anniversary, and yet we feel like we are only starting. Let us look back once more at how, together with you we have reached this milestone. We may have written you about the blessings received from Divine Providence, the different projects that emerged, and the many successes of Pag-asa. We have not written you though about what happened behind these. Pag-asa participated in the recent 5 days Asian Congress of the Economy of Communion where we talked about reducing poverty and inequalities in the society. Everyone is also reminded that the EoC is created by Chiara Lubich (founder of the Focolare Movement) for the poor and for as long as we have not yet meet their needs, we have not succeeded yet in our goal that “all may be one”. The Rotary Club of Papenburg (Germany) and Pekela (Netherlands) held a Summer Market last August 16 – 17, 2014 in Burcht Wedde, Netherlands. The Rotary Clubs put up a grand fundraising campaign for Pag-asa Social Center for scholarship and rebuilding of the institution from the damage of July 2014 typhoon. Through Starkmacher e.V. we participated in the project: “Young People’s Business” which refers to a wider project aimed at creating a network between different civil society associations worldwide that work with young people, and young entrepreneurs growing their own business ideas. It is a project supported by the European Union. Part of the one-year-project was an international workshop organized by the Associazione Culturale Modo, with the patronage of the city of Udine, Italy. Three of our youth working in Favola, and its endorser, local actor Hero Angeles, joined thirty other youth participants from different countries. I am writing to you in behalf of the entire Pag-asa staff, families, and community. I would just like to update you about what happened to us during and after the supertyphoon Glenda. It was an evening no one from Tagaytay expected. In my 13 years of stay in Tagaytay, it was one of the most destructive typhoon I have ever encountered. After two years, his dream of spending time serving in a remote and poor area became a reality. 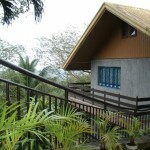 In fact, in January 2012 he moved to Tagaytay, a small city to the south of Manila in the Philippines. There he came in contact with a Social Center that tries to help the poorest people. As the foundation continues to grow, and with it, the great job of administration and the volume of work to follow up the situation of each supported child, we would like to appeal to your generosity for a donation to support one of our many projects in favor of those in need. You can also be a volunteer at Pag-asa Social Center. You can help us in so many ways in putting hopes back to the youth of Tagaytay City. For qualified high school graduates who started with Pag-asa and would like to continue on pursuing a college education, an opportunity for a financial assistance on tuition fee, books and materials, transportation and food allowance is also provided. With the help of generous donors abroad, the Pag-asa Center is able to give educational, basic medical and nutritional assistance to many children and their families in need. We have set up a small workshop for silkscreen printing of T-shirts, called “Favola Shirts”. It provides skills training and formation on the value of work for some boys who remained jobless after high school. Pag-asa Social Center is a social expression of the Focolare Movement in the Philippines. It is an NGO duly recognized by the Department of Social Welfare and Development. "Pag-asa" is the Tagalog word for "Hope"
"If you seek the kingdom of the Father, you will experience that God is providence for all the needs of your life."